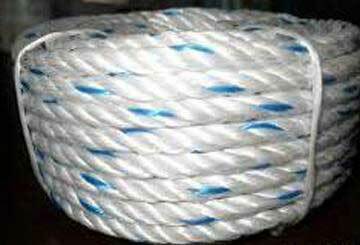 Crown Industries is one of the most reckoned firms for quality danline ropes manufacture, supply and export. Established on the 1st of July 2013, the company indulges in the fabrication and distribution of Power Grip PP danline ropes and Power Gold Parapro Polypropylene ropes suitable for various industries including marine, Industry, Fishing, Port & Ship Building Yards, transport, Defence, Agriculture Application,factories, packaging, electrical works, Land, Stevedoring Companies, Electricity Board, Industrial Application, Rope Articles, and more. With the required knowledge and experience in this domain, we present to you a range of danline ropes in different dimensions as per client specifications. The products are thoroughly quality tested using advanced technology, so that they comply with the Indian Standards (IS-5175). Our motive is to provide consumers with danline ropes that are functionally utilitarian, robust, durable, lightweight, flexible, abrasion resistant, UV treated, and most importantly, affordable. Our products can be use in various applications from fisheries to Port and more. 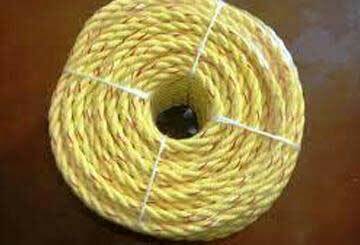 Crown Industries is the leading Polypropylene Ropes Manufacturer and Supplier and exporters based in Kolkata, offering services throughout the India. The firm partners are Mr. Dinesh Agarwal and CA Sanjeev Agarwal, who have been in the manufacturing business of danline ropes for 11 years now. We also have Mr. Satyanarayan Agarwalla on board, who has a wealth of 40 years of experience. In fact, Mr. Agarwalla is one of the most recognised faces of the business in Kolkata. Further, we have Ms. Sital Agarwal, who is an MBA in Marketing & HR, and an alumnus of Symbiosis, Pune. This apart, a robust team of experienced managers and a skilful manufacturing workforce are also parts of team Crown Industries. 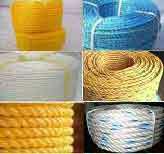 Need polypropylene ropes for your industry for various uses? Feel free to contact Crown Industries anytime. Our prime aim is to provide quality of products with utmost satisfaction. Crown Industries takes pride in its well-equipped infrastructure that assists us in the manufacture, storage, and distribution, and supply of Polypropylene ropes products of the highest grade. Ours is a systematic way of operation so that flawless products result and are supplied to the end user without hassles. A premise spread over an expansive area, Crown Industries is furnished with all modern production and testing tools, including facilities for research and development as well. 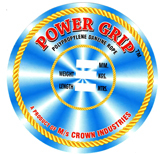 Crown Industries takes a special note on the quality quotient of the polypropylene ropes products. We carry out regular checks of each step of the manufacturing process using state-of-the-art technology and machinery. 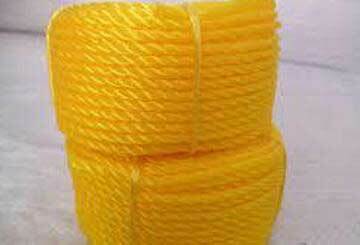 Our aim is to offer customer satisfaction to the utmost via quality ropes. Ours is a constant and consistent performance towards quality improvement so that the grade of our products comply with the Indian Standards (IS-5175). The sole manufacturer of danline ropes in Eastern India. Quality tested products and timely delivery of consignments. Vast range of products of various sizes ideal for different industrial applications. Honest business policies and environmentally responsible. 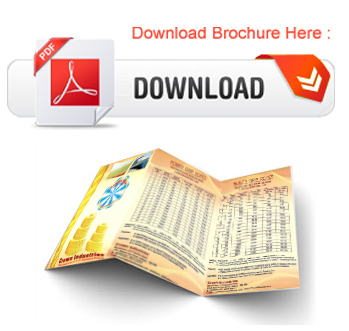 Mass production capacity and competitive prices. 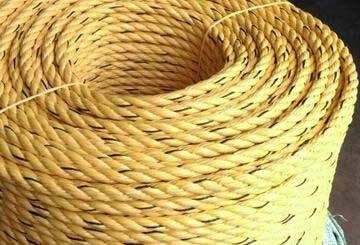 Do you want to place an order for danline ropes at Crown Industries? Contact us now.